JollyGul.com is an independently run website which is a human curated search engine for all types of Ismaili music – ginans, qasidas, geets, contemporary and more. 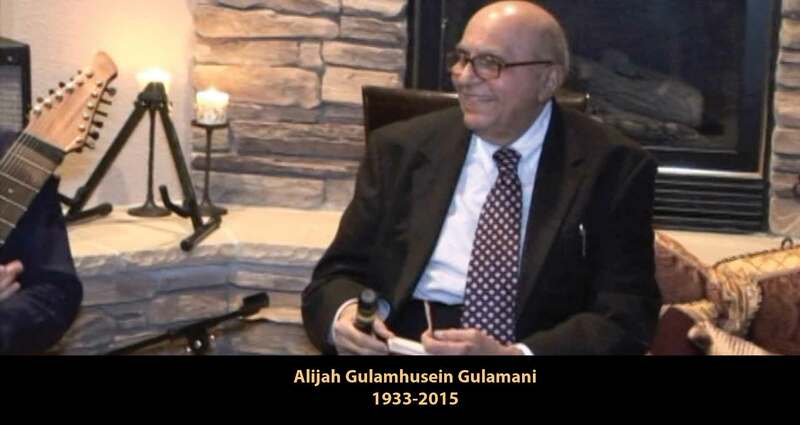 The principle goal is to make search, exploration, discovery, learning, engagement and collaboration easier for Ismaili music.The Gulamani Family owns and runs this as a service and it is not-for-profit. It is operated with a sense of “Trust” on behalf of the Ismaili Community. But it is not an official Ismaili Community website. The website and platform has been launched in memory of Alijah Gulamhusein Gulamani, our family patriach. He passed away in 2015 and lived the last years of his life in the USA. He had expressed his wish that the family do all it can to promote and keep alive the Ginan tradition amongst the younger commnunity members. After his passing, the family started adding music to Ginans he had recited in his life time, in efforts to widen their appeal to community members of all age groups and background. In 2018, The Diamond Jubilee Celebration Year of Mawlana Hazar Imam, we are taking this leap of launching the JollyGul.com platform in line with Alijah Gulamhusein Gulamani’s wish that the family to do all it can to keep alive and promote the ginan and music tradition in the community. We are bringing modern search, exploration and collaboration technology to see how we can, as a Community, promote and develop all types of Ismaili music and take it to the next level. We will be adding features and functionalities to the website over time. We believe music should bring people together. We hope our efforts will be supported by members of the Ismaili community by taking benefit of this resource and offering suggestions as well as artistic contributions. This will help us get even closer to one another over different cultures and geographies. But also remember what Mawlana Hazar Imam wants the Ismaili Community to be – the world’s bridge-builders, through our core values, actions and most important by our example. Please feel free to share with us your ideas on how our music can help us achieve that and how we can use this platform to the objective of making musical connections with people of different faiths and traditions.